Mr. Do! is yet another classic arcade game from the '80s. 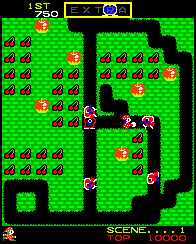 Clearly taking inspiration from games such as Dig Dug and Pac-Man.